Greetings of peace in this New Year of Our Lord, 2017! 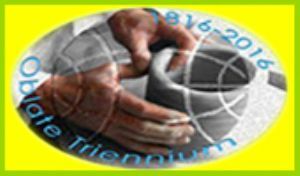 With praise and thanksgiving to God for grace upon grace we have received in celebrating our 200th anniversary as a missionary society founded on January 25, 1816, I officially declare the closing of our Oblate Triennium on January 25, 2017. These three years have been an intense pilgrimage of grace in response to the 2010 General Chapter call to a profound personal and community conversion to Jesus Christ. In the years to come we will continue to reap the fruits of this communal journey of conversion. I am grateful to all the Units that made this a special event through so many meaningful initiatives. Many thanks go also to the whole Mazenodian Family and Oblate Youth for your involvement, spirit of celebration and prayer throughout the Oblate Triennium! The Oblate Triennium is closed; however, the dynamic of conversion continues in our Oblate life and mission as long as we are alive! 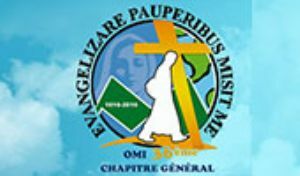 The Acts of the 36th General Chapter, "Evangelizare Pauperibus Misit Me” will be the principal guide for the Congregation during the next six years. The General Chapter "articulates our missionary vision” (C 126) and the expression of this vision will be found in the Acts of the Chapter. The Acts contain the Chapter members’ discernment as to "God’s will in the urgent needs of our times” (C 125). They reflect how we understand the Spirit’s call to be faithful to the charism in the present moment of our history. I appeal to all Oblates and those who share the Oblate charism to take time to read the Acts of the 36th General Chapter, and to ponder them prayerfully. Local communities, district gatherings, meetings, assemblies and retreats will study, discuss and see how to live what is contained in the Chapter document. 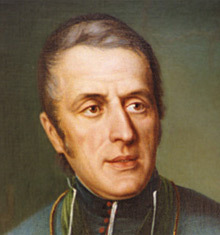 This will strengthen our unity as Saint Eugene hoped: that we would be a family with one heart and one spirit. Here I will briefly mention some of the highlights of the General Chapter in the hope that you will read the Acts in their entirety. The General Chapter, with Mission as its theme, strongly affirmed our fidelity to the Oblate charism centered on preaching the Gospel to the poor and most abandoned. The Chapter challenges us to identify the "new” poor in each context where Oblates minister. 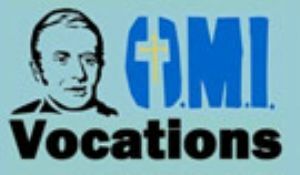 The mission with youth, a growing concern among Oblates and to which some Oblate Units have developed innovative and significant approaches, was also given missionary priority by the members of the General Chapter. 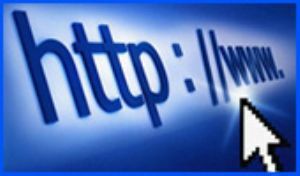 The area of information technology, social media and communications was placed as a vital dimension of Oblate missionary work for the coming years. 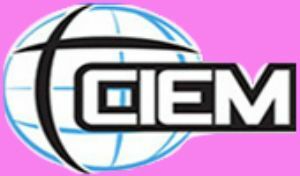 The members of the General Chapter saw throughout all these missionary calls, the importance of the financial dimension of mission. It is essential that Units become sustainable in an interdependent way so that we can continue to do mission in the poorest and most difficult places. The Chapter members recognized the vital importance of missionary formation at all levels, beginning with a prenovitiate experience that is organized in a formation community and offers substantial preparation for the novitiate. The importance of the ministry of Oblate vocational discernment was fully supported by the Chapter members as a commitment to the future of our charism in this historic year of our 200th Jubilee. We have affirmed the life and future of the Congregation at the service of the Reign of God. Perhaps the greatest challenge presented to the Congregation by the General Chapter is found in the theme of "interculturality.” This will call us to new ways of thinking and living. For years we have spoken of crossing borders and living in international and multicultural communities and ministries. The Spirit is calling us to a deeper conversion to form intercultural communities. We will need to do formation in order to understand what this signifies. Growing into interculturality will demand an intentional, self-reflective effort, requiring changes in our way of thinking, living in community and doing mission. This is both an exciting and, in a certain way, a frightening call which will demand much courage on our part. This is a very brief resume of the priorities the General Chapter discerned as a response to the Spirit’s call to us. In the "Acts of the 36th General Chapter” you will read more about this and other important elements of our road map for the next six years. On another note, on December 11, the Church celebrated the Beatification of Blessed Joseph Thao Thien and 16 Companions, Martyrs of Laos, among whom are six Oblate martyrs. 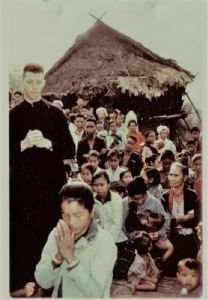 This was a most significant event for the Church of Laos and for us as we recall our Congregation’s dedication to this mission which at one time was a Province with nearly 100 Oblates. We are grateful to the Postulator General and every Oblate who helped move this process along, not without some difficulties. Let us make our acquaintance with our six brother Oblate Martyrs and spread devotion to them. In Madrid, on the weekend of December 16, the Oblates of the Pozuelo community organized an encounter with the family members of the Oblate Martyrs of Spain who were beatified in December 2011. About 25 relatives and 15 Oblates were present to share memories and mementos of those martyrs of 1936. The weekend was a deeply moving experience and the sharing was done in a very sacred climate. This was the first such gathering and everyone expressed a desire to continue. A question stays with me: What are all these Oblate martyrs – Joseph Cebula, the Oblate Martyrs of Pozuelo and of Laos – calling us to live today? On October 7, 2016, at the gathering of Chapter members with the Holy Father, the message he delivered and his presence with us created a holy encounter. We experienced an outpouring of the Holy Spirit. Everyone was filled with immense love for the Congregation and with hope and joy for our future. That visit with Pope Francis made me relive the words our Founder penned on August 15, 1822 referring to "…our dear Society. It seemed to me that what I saw, what I could put my finger on, was that within her lies hidden the germ of very great virtues, and that she can achieve infinite good; I found her worthy, everything pleased me about her, I cherished her rules, her statutes; her ministry seemed sublime to me, as it is indeed. I found in her bosom sure means of salvation, even infallible, such is how they looked to me” (Selected Texts p. 119). These words of Saint Eugene bless us today. 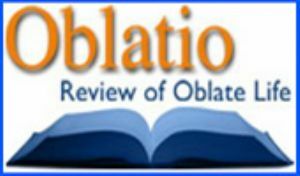 I look forward to a fascinating journey over the next six years with the entire Oblate family. Our missionary journey is not an easy one. Jesus’ faithfulness will sustain us. The smile of Mary Immaculate, her loving gaze, is upon us and we dedicate our missionary lives to her once again so that we will be true to the Oblate charism.